Indian Leather Industry Foundation (ILIFO) was engaged by FMC for organizing the exposure visit of Iran delegation to Chennai (Tamil Nadu) footwear cluster from 23 to 27 September 2013. The group consisted of ten delegates from Iran, one from Afghanistan and two delegates from UNIDO, Vienna. Four of them were project staff including Mr. Adnan Seric (Project Manager – UNIDO), Mr. Nima Bahramalian (Consultant UNIDO) and two CDAs from Mashhad (Iran) and Herat (Afghanistan). There were three delegates from the Iran Small Industries and Industrial Parks Organization (ISIPO) which is the technical counterpart of the project. The other four delegates were the members of Mashhad Footwear Business Association, including the head of the Association. 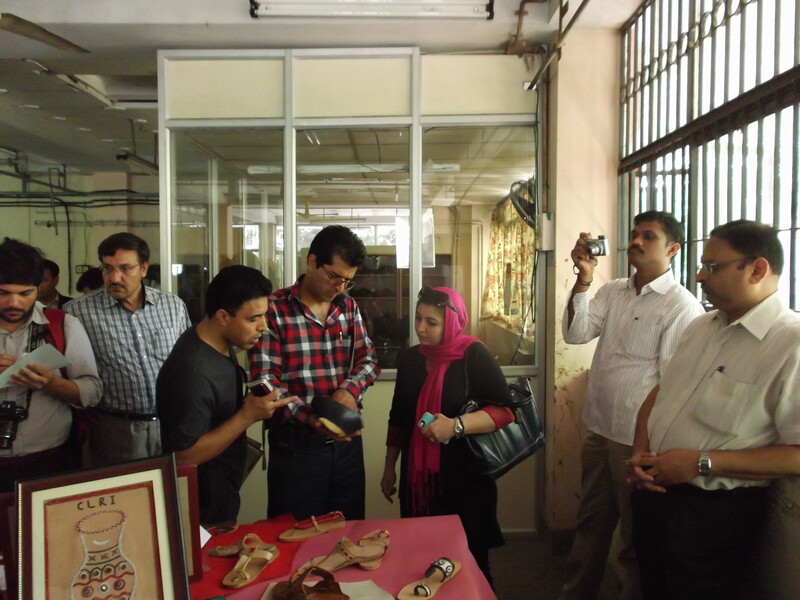 The team was on exposure visit to Chennai Footwear Cluster as a part of Cluster Development Program being implemented in Mashhad Footwear cluster (comprising Mashhad in Iran and Herat province in Afghanistan) by UNIDO.